A manned space mission, even if sent, will not help to fix the faulty Spektr-R space radio telescope, said Nikolai Kardashev, the director of the Astrospace Center (the Radioastron project contractor). "Radioastron’s technical group is doing its best. I even asked whether a cosmonaut may approach and fix it. Well, approaching it is technically possible, but, regretfully, nothing can be done," he said. The scientist explained that in order to withstand the extreme conditions of outer space, all technical elements of the satellite were carefully sealed by the manufacturer using a special technology, so "you can’t just get inside of it." Moreover, he added "cosmonauts are just not being sent to such altitudes at the moment." The satellite operates on the highly elliptical orbit, with the apogee height of 330,000 km and the perigee height of 600 km. "The signal from the telescope is being received on a regular basis. Most importantly, the spacecraft does not tumble uncontrollably, so its orientation system is working, solar batteries keep producing energy, so everything works. However, we cannot control the satellite. We don’t know what it is currently looking at," Kardashev said. 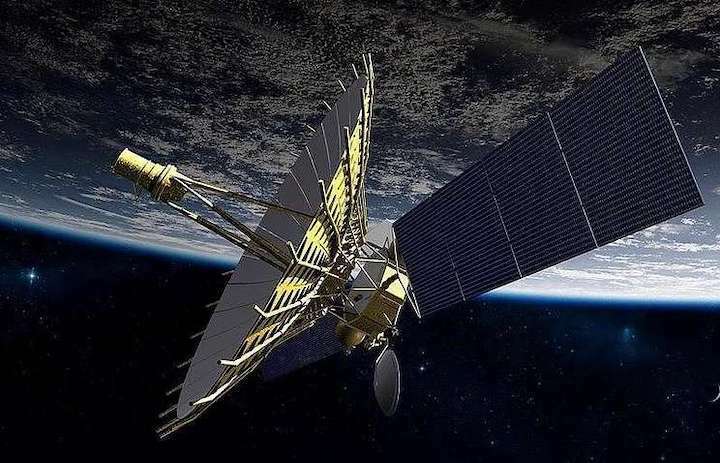 Attempts to establish control with the satellite are being made on a regular basis: scientists send a signal to Spektr-R, which is being ping-ponged and received by stations in Moscow region’s Pushchino, Ussuriiskoye in Russia’s Far East and Green Bank in the United States. The Gazeta.ru web portal reported problems with Spektr-R on January 11, citing the head of the RadioAstron project to which Spektr-R is affiliated, Yuri Kovalyov. Russian space corporation Roscosmos later told the media that experts were trying to fix the glitch. The Spektr-R was launched in 2011 and the warranty period of its active operation expired back in 2014. The space telescope has exceeded its expected life span by 2.5 times. A source in Russia’s space industry told TASS the problems with the Spektr-R master transmitter might have been caused by space radiation accumulated in its electronics over the years in orbit.